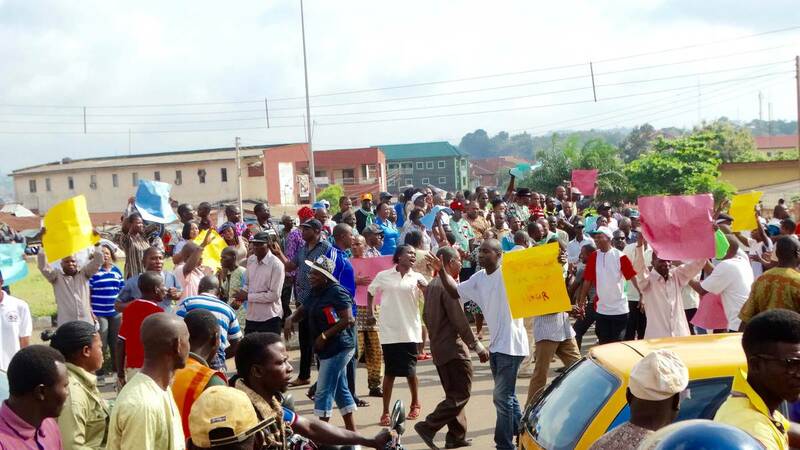 Workers in Ondo State have suspended their 30-day-old strike after labour leaders signed an agreement with the state government late last night. According to the Chairman of the JNC, Sunday Adeleye under the agreement, the government is expected to pay just January salary for workers in the mainstream, and January and February salaries to Local Government workers and primary school teachers on grade level 1 to 10. Adeleye added that Local Government Workers and primary school teachers on level 12 and above will take one month, health workers 2 months, while OSOPADEC workers will get 3 months salary that will be paid in cash. He further said judiciary workers will be paid January and February salaries just as tertiary institutions will get one month subvention. The state Head of Service, Mr Toyin Akinkuotu, the Attorney General and commissioner for Justice, Mr Eyitayo Jegede (SAN), Commissioner for Finance, Chief Yele Ogundipe, the special adviser on Union matters, Mr Dayo Fadahunsi and the state Accountant General, Mr Frederick Ajibokun were representatives of the government at the meeting. On the side of the labour were the Chairman, Joint Negotiating Council, Sunday Adeleye; the state Chairman of the Nigeria Labour Congress, Bose Daramola; and state Chairman of the Trade Union Congress, Soladoye Ekundayo.